I stood at the bar in front of the TV with friends like I had so many times before. The NBA Draft lottery was on and this was to be a big one. You see, two game-changers were going to be drafted that year. Two big guys, once-in-a-generation type players, that would immediately change the shape of your franchise. The year was 1992. The two big men were named Alonzo Mourning and Shaquille O’Neal. An Orlando fan even back then, the Magic were no lock to win the top pick. After everyone outside of New York claimed that the NBA draft lottery was rigged when the Knicks landed Patrick Ewing in 1985, the league did everything in its power to calm the masses. They revised the way draft order was determined. That included giving the worst team in the league a far greater chance of winning the top pick by giving them more ping pong balls from which to choose in one of those confounded random ping pong generators. As luck would have it, the Magic landed the top pick in 1992. The man they drafted, Shaquille O’Neal, would become one of the most dominant centers in the game. The guy chosen behind him, Alonzo Mourning, was no slouch either. The man they call ‘Zo went on to play 15 years in the league, most of them with the Miami Heat. He would become an NBA champion and have a Hall of Fame career. It’s been that long since we’ve had two big men of that magnitude go back to back in the NBA Draft. Make no mistake. The 2018 NBA Draft is no 1992 but teams are hoping it’s close. Two big men will be taken with the first few picks, if not the first two. It is now their time to shine. DeAndre Ayton and Marvin Bagley, III will not have the impact of both Mourning and O’Neal. That being said, the 2018 Draft is going to be a big deal. We haven’t had a draft this important since 2007 when Kevin Durant went second to Greg Oden. In 2004, two big men went back-to-back, Dwight Howard and Emeka Okafor. Okafor had just won a national championship at UConn and while considered a consensus number one pick, not too many believed he’d turn around a franchise. 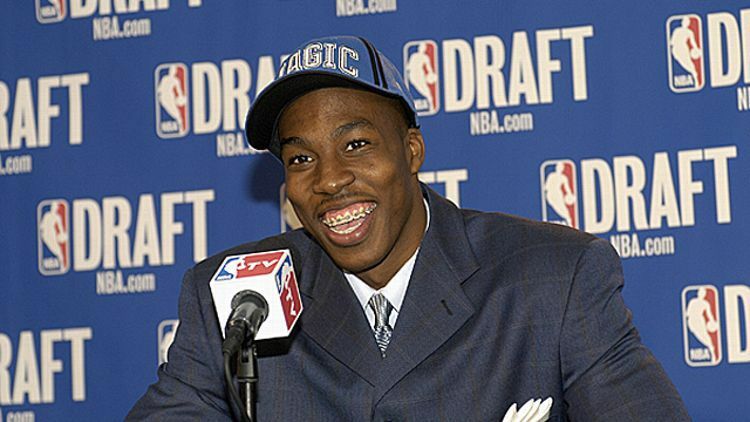 The Orlando Magic went with Dwight Howard who did exactly that. And of course, the LeBron, Melo, Wade and Bosh draft of 2003 is an altogether different animal. You have to go back that far to find two essentially can’t miss big men that will immediately impact your team’s success. Duke’s Marvin Bagley, III and Arizona’s Deandre Ayton are both exceptional talents. While Ayton’s name was shrouded with controversy after news surfaced that he had accepted money to attend Arizona, today that matters not, at least not for him. Ayton declared for the draft and can no longer be touched by the NCAA. He stands an athletic 7-foot-1 and averaged 20 points, 11.6 rebounds and 2 blocks a game while leading Arizona to the Pac-12’s best record. His team underachieved in the tournament but neither that nor talk of any booster check will sway an NBA team from drafting him. Phoenix is rumored to take him number one. Bagley, III is another man among boys. While he stands only an inch or two shorter than Ayton depending on who’s doing the measuring, the numbers he put up for Duke were eerily similar. His post moves are even more refined or at least more old school. It’s hard to imagine these two men won’t go one two in the draft like Shaq and Zo did 25 years ago or like Howard and Okafor in 2004. Like those guys, these two should make immediate impacts for two teams that desperately need it. Today’s NBA is different than it was back in 1992 or even 2004. The thought of a big man taking a three-pointer was laughable. Back then, big men posted you up in the paint and pounded you into submission. Today’s NBA features very few big men who can do that. Bagley and Ayton are throwbacks which has to put a smile on every old school basketball fan’s face. That’s not to say they can’t shoot from outside. They can. But their post moves, particularly Bagley’s, are a calling from another time. The right draft pick can instantly turn a lottery team into a playoff team and keep them there for twenty years. Just look at San Antonio and Tim Duncan. 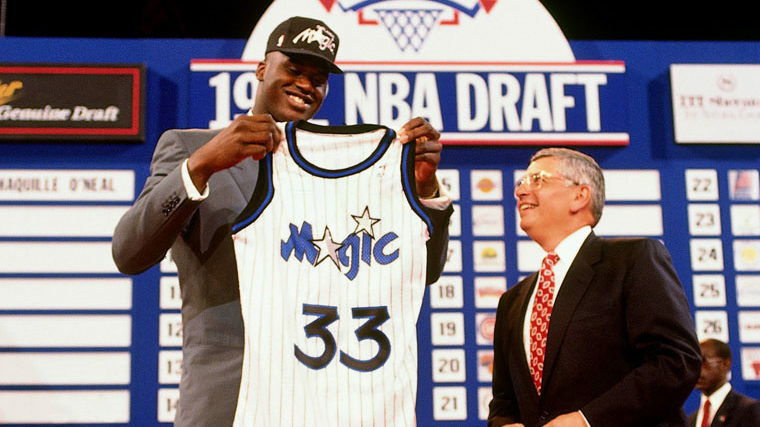 After drafting Shaquille O’Neal in 1992, the Magic went from 21 wins to 41 wins in a single season. With Alonzo, the then Charlotte Hornets, who weren’t quite as bad as Orlando, went from 31 wins to 44. That goes to show you how important an impact player can be. Size is, and always will be, a factor in the NBA. A top pick of this magnitude can change the fortune of an NBA team far more than in any other sport. Assuming they go one-two, Ayton and Bagley, III, will forever be linked, like Shaq and Zo, Durant and Oden, Darko and ‘Melo, Magic and Bird. 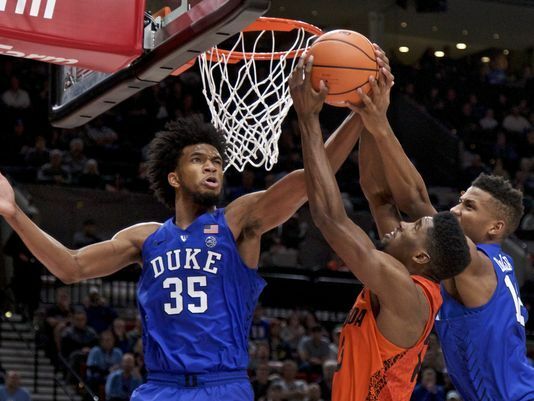 While comparing Bagley-Ayton to Shaq and Zo might be a bit of a stretch, it’s not inconceivable to compare this draft to the year Howard and Okafor went 1-2. If it’s anywhere in between the two, that bodes well for Deandre Ayton, Marvin Bagley and even more so for the two teams that draft them. This entry was posted in Featured, Hardwood, Life of Sports Chump and tagged Alonzo Mourning, Charlotte Hornets, Deandre Ayton, Dwight Howard, Emeka Okafor, Marvin Bagley III, Miami Heat, NBA Draft, Orlando Magic, Shaquille O'Neal by Chris Humpherys. Bookmark the permalink. You can’t go wrong with either Marvin Bagley III or DeAndre Ayton . I’m “that” guy…the Lakers don’t have a lottery pick, so I don’t care. Go ahead, take away my birthday for it. Ayton’s going to a far better team in Phoenix but both those guys will have their work cut out with them in an already loaded Western Conference. Well, every Laker fan I know is hoping they land a bigger fish than just a draft pick. Both Shaq and Dwight end up in purple and gold at some point, so is Ayton on the docket after a few years of frustration in PHX? Time will tell. Lakers had a decent draft night considering where they drafted. If that “fish” happens to be LeBitch, you can count me as the Laker fan you know who shits blood just thinking about it. The goings down in San Anton are getting pretty dramatic, huh? I guess Pop really IS upset by this Trump presidency, he he. He can’t even think straight any more. Looking forward to July 1st, Bleed, and the unforeseen surprises that are in store.